This Friday I would like to share with you an old style piece made out of some old jewellery and a more contemporary piece made out of all new materials. 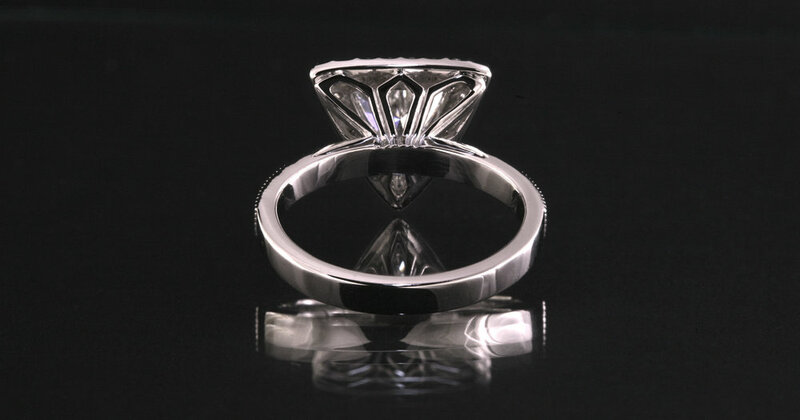 My customer had some old rings that she no longer wanted and would like to use the diamonds they contained in a wedding ring that would be worn on it`s own. She found some pictures of features in other rings that she liked and I fused them together to create this design for her. I added two diamonds to the exiting 4 to form the row of 6. The 10 small diamonds that divide the larger diamonds were also supplied by me. This ring was designed pretty much entirely by the male partner. He has put his heart and soul into the design of the ring knowing full well that this being a proposal ring she may decide to change it. 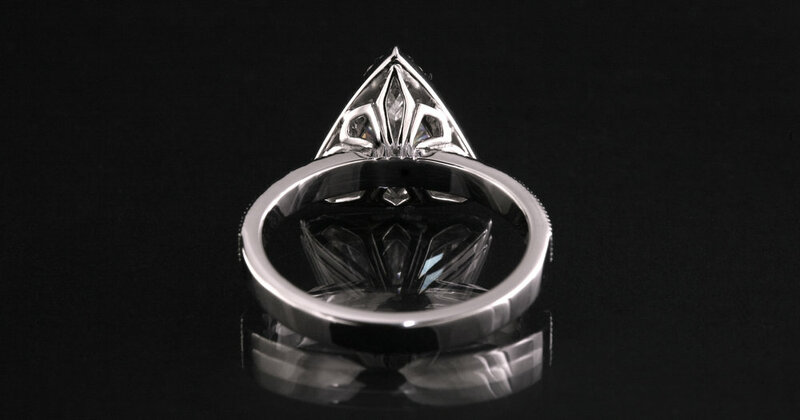 In fact the customer and I will encourage her to do so if there is anything that she does not like about the ring. He wants it to be perfect for her. 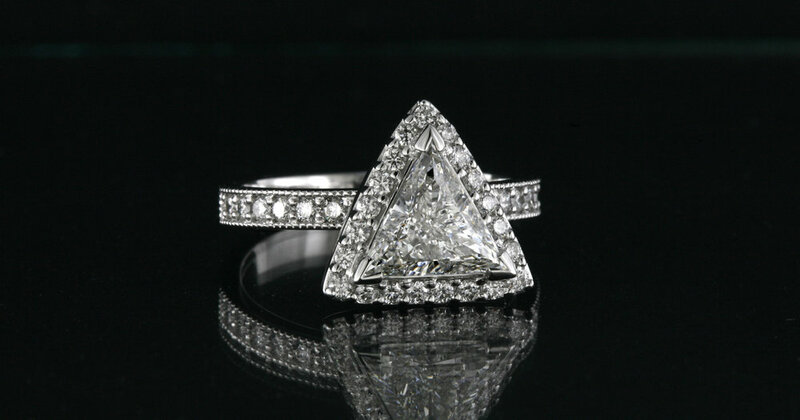 .525 carats of accent diamonds. 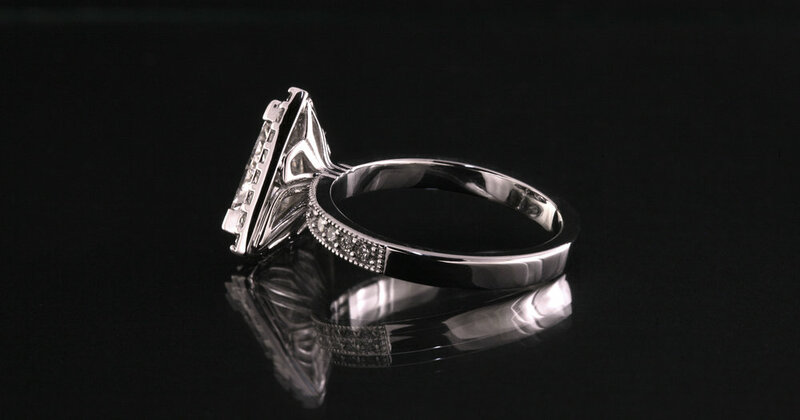 The scaling of the band, diamonds etc was all done by the customer. The area I was given free reign with was the gallery section of the setting. We will see soon if she leaves the ring as is or changes it. The surprise proposal: the wrong finger size....no surprise! Why I often recommend someone else make your wedding ring.